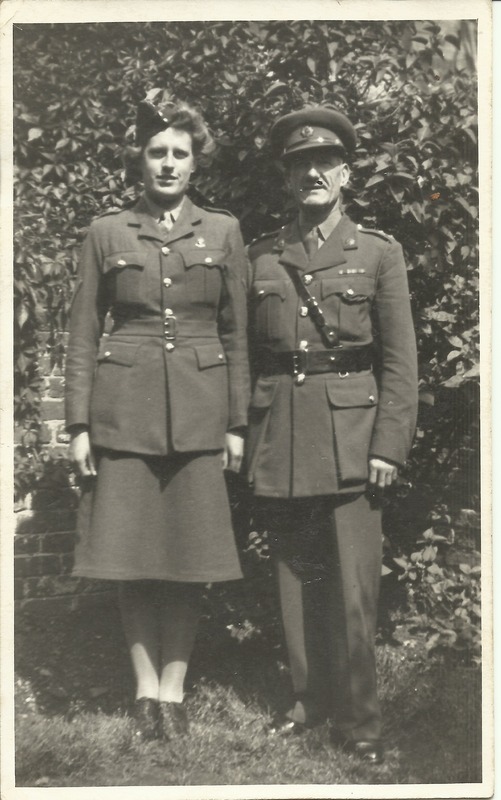 I joined up voluntarily in March 1942 at 19 years of age and went to The Queens Regiment, Guildford for three weeks’ training. From there I was posted to Hatfield, Hertfordshire, Battery HQ on Searchlights. I started as a Private and rose through the ranks to become a Troop Commander. Nancy was posted to a Searchlight Troop HQ – 93rd (M) Searchlight Regiment as a Junior Officer. 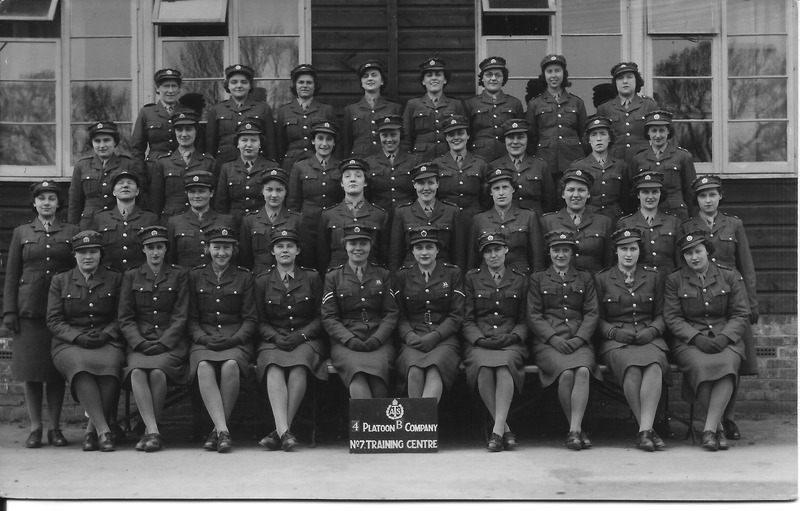 The ATS were all girls the majority aged between 18 and 21 and the Searchlights was the only female Operational Regiment in England. 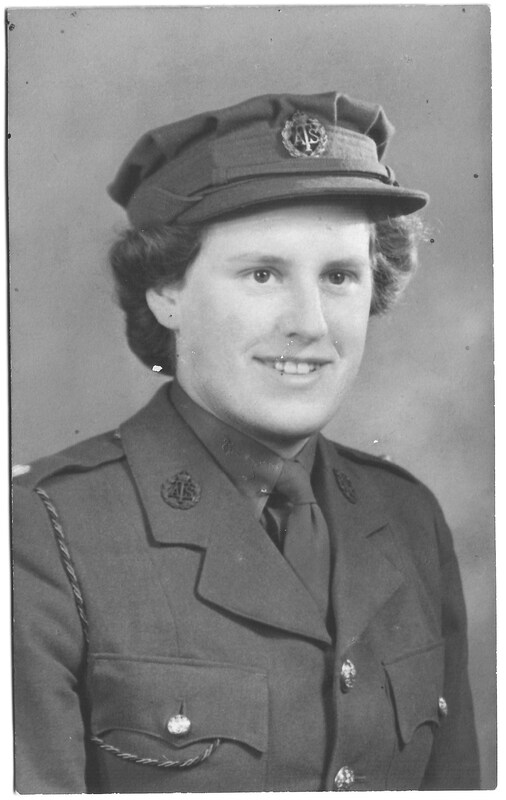 Nancy spent the majority of her war serving with the 93rd Searchlight Regiment. The (M) in the title of the Regiment stood for ‘mixed’ meaning there were some men in the Regiment – Senior Officers, Commanding Officers and the Maintenance Officers. Everyone in the Forces was issued with an AB64 book [Soldier’s Service Book]. This contained information about the person. We each had an Army number and a disc showing this number. There were no baths or showers and no mains toilets – it was all very primitive but different! 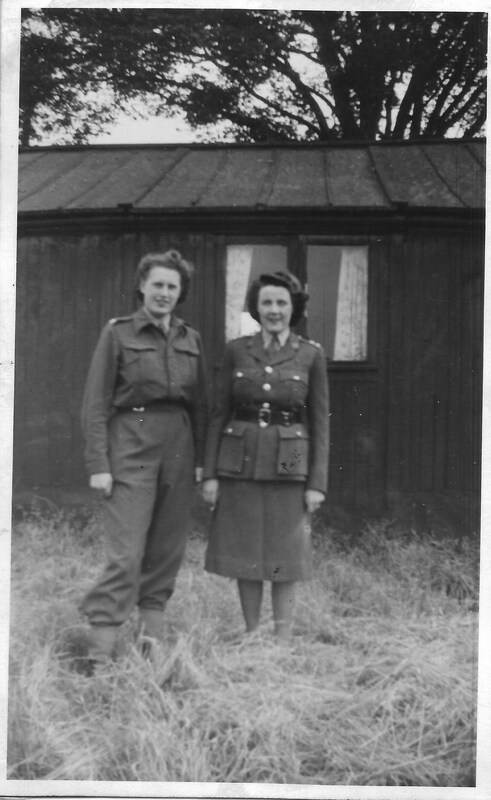 During the day the rooms were cleaned and the site kept clean – training and maintenance was carried out by the girls. The plotting of enemy aircraft was carried out at any time during the day but was mainly done during the hours of darkness. The girls had all been on an intensive course learning about the radar and maintenance of the equipment. They were in hourly contact with Sites and Battery by telephone. The Troop Officer’s job was to control the Searchlight beam of her troop from a high point at her Troop HQ, and hopefully light up the enemy aircraft for the fighter aircraft to step in for the kill. She was also in charge of the Troop in everything including food, welfare, pay, visits, leave etc. At night the order to “Take Post” was passed from Battery HQ onto the sites. Everyone would immediately grab their coats and head for the equipment out in the field. Sometimes it was necessary to “Take Post” three or four times during the night and sometimes for quite long periods. “Stand Down” was always given by Battery HQ. Information was continually passed from Battery to Troop to site and vice versa, and as soon as an enemy target was picked up on-screen this was reported and plotted and when within range the searchlights would expose the target ready for the fighters to do their part. Doodlebugs and Rockets VII were also picked up. Enemy planes could be picked up and plotted as soon as they left the French Coast. Some nights meant jumping in and out of bed several times to “Take Post” and some bitterly cold nights – pouring with rain, gale force winds and in summer, lovely starry nights. On occasions ‘Homing Beacons’ were required and this usually meant one or more of our bombers returning from bombing operations of Germany and it was probably damaged and trying to get home safely to the nearest English airport. The searchlights exposed vertically and continued to swing up and down pointing the way to the required airport. The cheers were deafening when later it was reported ‘the aircraft has landed safely’. A quick cup of hot cocoa followed, then it was back to bed to await the next “Take Post”! Next time: We will find out what the ATS girls did for entertainment. 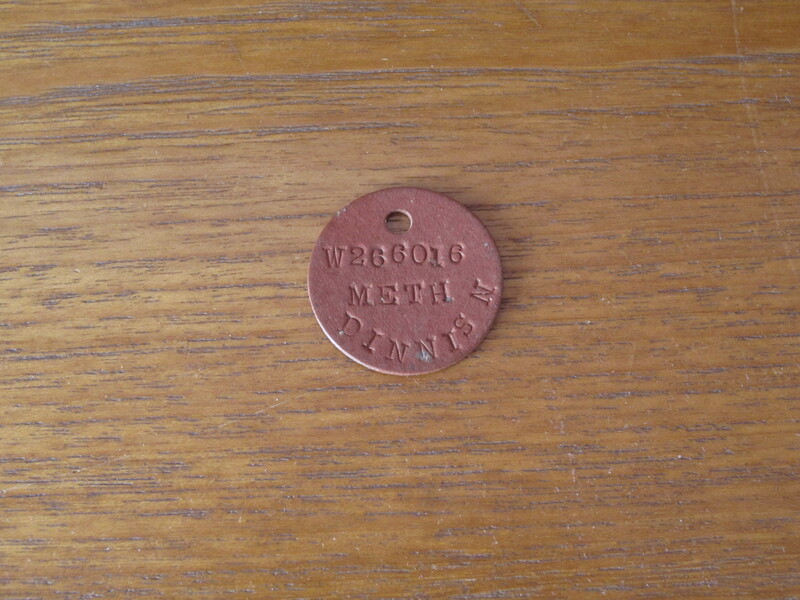 This entry was posted in Nancy Dora Dinnis, World War 2 and tagged ATS, Auxiliary Territorial Service, Searchlight, Take Post, Troop Officer. Bookmark the permalink.